Extension Educator Tyler Williams is organizing — and will be a presenter at — the Successful Farmer Series. 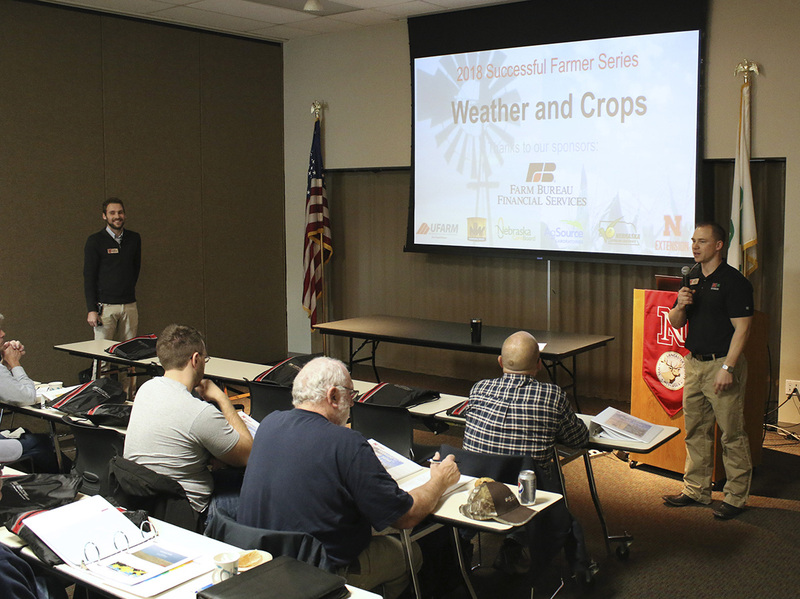 Nebraska Extension in Lancaster County’s fourth annual “Successful Farmer Series,” will run through Feb. 8. Multiple sessions and topics allow ag producers to pick the topics most relevant to them and their operation. All sessions will be 9–11:30 a.m. at the Lancaster Extension Education Center, 444 Cherrycreek Road, Lincoln. Refreshments will be provided. Attendees at last year’s series estimated a $16 per acre value gained by participating. All topics will feature expert presenters from the University of Nebraska–Lincoln. Other experts will be available to address more specific questions or interact with attendees during the breaks. This is also a great opportunity to visit with other producers in the area. Registrations are not required, but are appreciated two days prior to the session(s) you want to attend by contacting Karen Wedding at kwedding2@unl.edu or 402-441-7180, or going to https://lancaster.unl.edu/ag. The cost is $5 per session. Pay at the door with cash or check. Debit/credit card payment available for an additional fee. CCA credits available for certified crop advisors. The series will be livestreamed for free — to watch, register online.